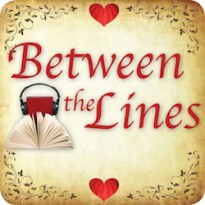 I’m very happy to welcome author Glynis Astie to BetweenTheLines :) It’s lovely to have you here, Glynis. Glynis never expected in her wildest dreams to be a writer. After thirteen years in the Human Resources Industry, she decided to stay at home with her two amazing sons. 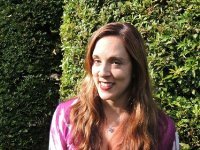 Ever in search of a project, she was inspired to write the story of how she met and married her wonderfully romantic French husband, Sebastien, in six short months. The end result became her first novel, French Twist. If you are interested in Glynis’ musings on a variety of topics, please follow her on her blog – http://www.glynisastie.com, Facebook – glynisastieauthor – and Twitter – @GlynisAstie. To begin your foray into the exciting world of Harry Potter, I would recommend a cup of strong white tea, which is the purest of all teas AND has the most antioxidants. This stellar combination will not only provide protection to your body from certain types of cancer, but will also improve your brain’s overall health thereby allowing you to process the new and exciting world of magic which you are now entering. You will find yourself met with a number of intriguing questions as you wander through this delightful book: Who is Harry Potter? What happened to his parents? Who are these horrible Dursley people and why does an amazing kid like Harry live with them? What in the world is a muggle? What is one qualified to do upon graduating from Hogwarts School of Witchcraft and Wizardry? And perhaps most importantly, just who is this Voldemort fellow? You will be glad to have partaken in this particular tea as the answers will come at you quicker than a rogue bludger. Fasten your seatbelt and keep your wits about you; we have six more books to go! Now that you have the basics down, you are ready to dig a little deeper into the mystical world of Mr. Potter. Basic witchcraft and wizardry have become old hat and you are hoping to get to know your favorite wizards a little better – not to mention the enigma that is Voldemort. For this you are going to need a tea with a little more of what we Americans like to call, “Umph.” Yes, I know, we are quite the intellectuals. It’s time to add a little more caffeine to the mix and you know what that means – a hearty mug of green tea. You will be glad for the increased awareness once you are hit with a house elf, a flying Ford Anglia, a dramatic Defense Against the Dark Arts professor, a mysterious sound in the castle walls and vicious attacks on Hogwarts students. You will laugh at the use of the polyjuice potion and clutch your heart when Hermione is petrified and Ginny is taken. Prepare yourself to cringe when you meet Mr. Tom Riddle himself and feel your heart swell when Harry saves the day in the end. You have quite a buzz going now; are you ready for Act III? Things are starting to get a bit more serious in the world of Harry Potter and that calls for a more serious tea. I think you know what I mean – reach for a steaming cup of Earl Gray. A touch of evil is taking hold in Hogwarts and you will be grateful for the warmth and cerebral stimulation of your chosen tea. The action in this book is swift indeed: Harry blows up his aunt, learns that a murderer is after him, discovers dementors and learns more about how his parents died. Magical creatures abound with the introduction of hippogriffs and the patently cool animagus. In a knock down drag out battle in the screeching shack we discover that the “murderer” was framed and also happens to be Harry’s godfather. Thank goodness for the extra caffeine! The surprises will only increase in both scope and scale as we continue on our journey. You are beginning to come down from our earlier caffeine frenzy, but you still need enough energy for a good long book. This time we are going to select a mid-range Oolong tea, which will sharpen your thinking skills and improve your mental alertness. Since this tea is also thought to help with atherosclerosis and high cholesterol, you may as well add a scone too. A whole lot of craziness is about to go down and you are going to need the sugar! A big dose of controversy befalls Mr. Harry Potter in the form of his new Defense Against the Dark Arts professor, Dolores Umbridge. The nastiest character to date, you will want to throttle her as she methodically takes away everything that Harry and his friends hold dear. Never one to back away from a fight, Harry creates an underground army and their adventures lead them to a grand battle at the Ministry of Magic. Squeezed in the middle of the action, you will find comic relief in the form of Fred and George and a bit of romance for Harry. Just be sure to keep a box of tissues handy; the first big death of the series will hit you hard. We are closing in on the end of our epic journey, so it is time for a cup of jasmine tea. You still need caffeine to keep your awareness, but also the sedative effect from the scent of jasmine to prepare yourself for the unpleasant things are about to occur. Professor Snape has finally gotten his clutches on the Defense Against the Dark Arts post, Dumbledore is arming Harry with knowledge of Voldemort’s past and we learn of the existence of horcruxes. While we are momentarily distracted by Harry and Ron’s haphazard love lives, our minds are quickly brought back to the action by the betrayal of Malfoy, the invasion of the castle and the demise of Dumbledore at the hands of the greasy haired, hook nosed poser, Professor Snape. Take a deep breath and prepare yourself to move on. It is time for the final chapter. With your heart still broken, you are in serious need of the calming quality of a cup of chamomile tea. If you close your eyes, you can almost feel a warm hug from J.K. Rowling herself. You have no choice but to read on and there is still a lot of unpleasantness to get through, not the least of which is the fact that this is the last Harry Potter book. The magical world is in a state of uproar and Harry, Ron and Hermione set off in pursuit of the remaining horcruxes. The road is long, and filled with failure, but they press on and find new hope with the discovery of the deathly hallows. The death toll reaches a staggering amount by the time we reach the epic battle that we all knew was coming. We watch Harry sacrifice himself for the greater good and breathe a sigh of relief when he is brought back to us unharmed. Ding, dong, Voldemort is dead! I don’t know about you, but I’m exhausted! Thank you for coming on this journey of tea and Harry Potter with me. I hope that you had as much fun as I did! Glynis, thank you so much for an enjoyable, fun and original post. I’m off to buy tea and root out my Harry Potter books now!